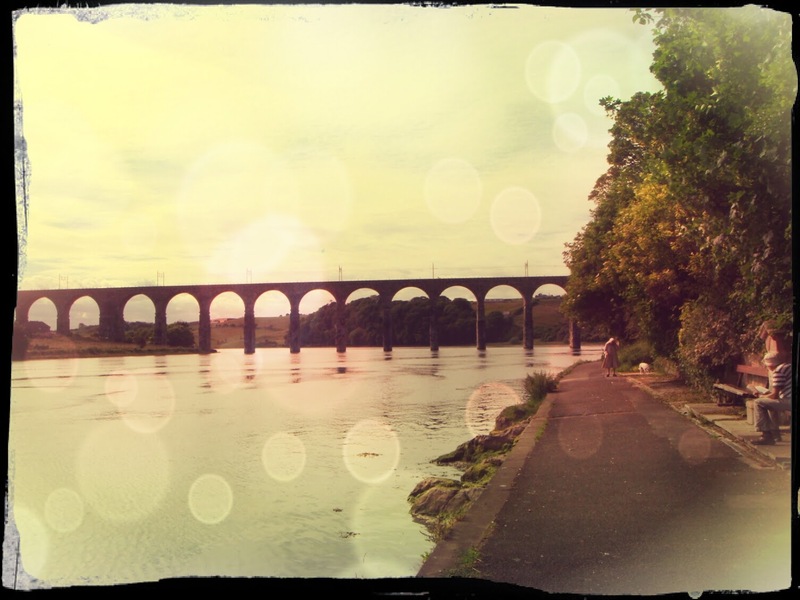 Berwick-upon-Tweed has the kind of charme of things hanging half way. Whenever a person is being defined "neither fish nor fowl", it's usually intended in a negative way, as something without any shape or direction, without a defined personality and therefore as something that evokes indifference. But I also think that hanging halfway hides an enormous potential, a way to be able to be both the things you are suspended between, representing some sort of reconciliation, a junction between two elements that are usually considered very different from each other, if not actually the opposite. Well, Berwick-upon-Tweed is not English nor Scottish. Hanging half-way between two nations, for a long time contended from both, it's officially English since the 15th century - but it just cannot forget its suspended soul. Berwick is just 4 kms far away from the Scottish border, and after it there aren't any more English towns: just the Adrian's Wall, erected by the Ancient Romans in order to hold off the proud Celtic tribes who were fighting for their freedom, and that nowadays still separated symbolically two worlds, two states united under the same crown but that still have two well defined and distinct personalities. 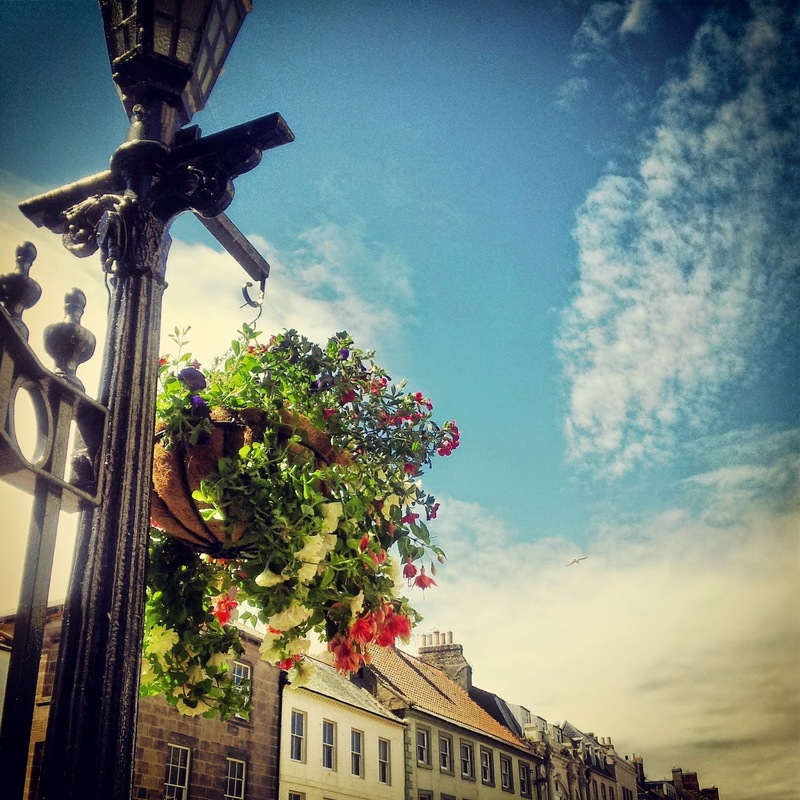 The Berwick's contention between the two nations has lasted so long that, at one point, there have also been some official documents where the city was being mentioned separately, as if it was an entity of its own, not belonging to any of the two. For example, when Queen Victoria signed the declaration of war towards Russia for the Crimea conflict, she did it in the name of "the kingdom of England, Scotland and of the city of Berwick-upon-Tweed". 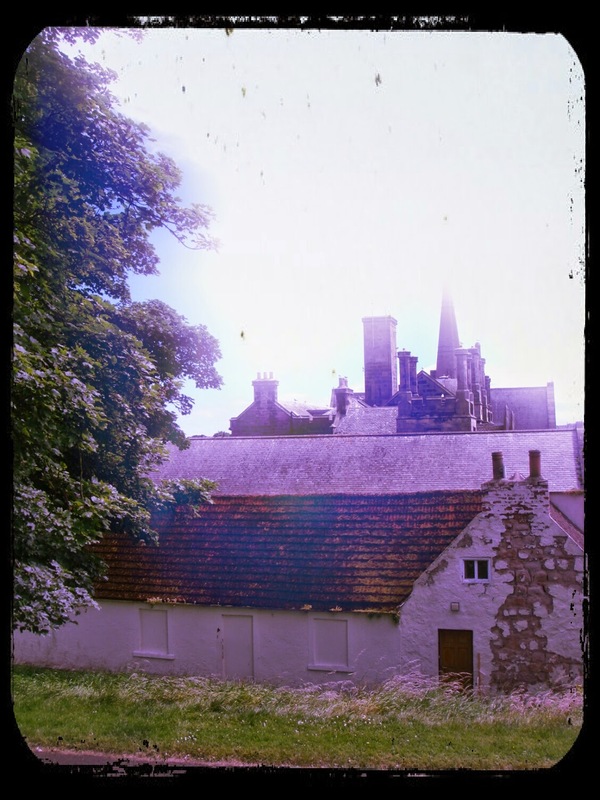 As soon as you arrive, getting out from the station, there is some sort of Scottish atmospheare: there are uphills, there is grey stone, there is that kind of reserved but a bit sly look that you can find in the Lowlands villages. But the heart of the city has actually an English taste: the Town Hall with the pointy top which makes it look more similar to a church, the violet flowers hanging from the streetlamps, the black benches in the middle of the pedestrian areas. 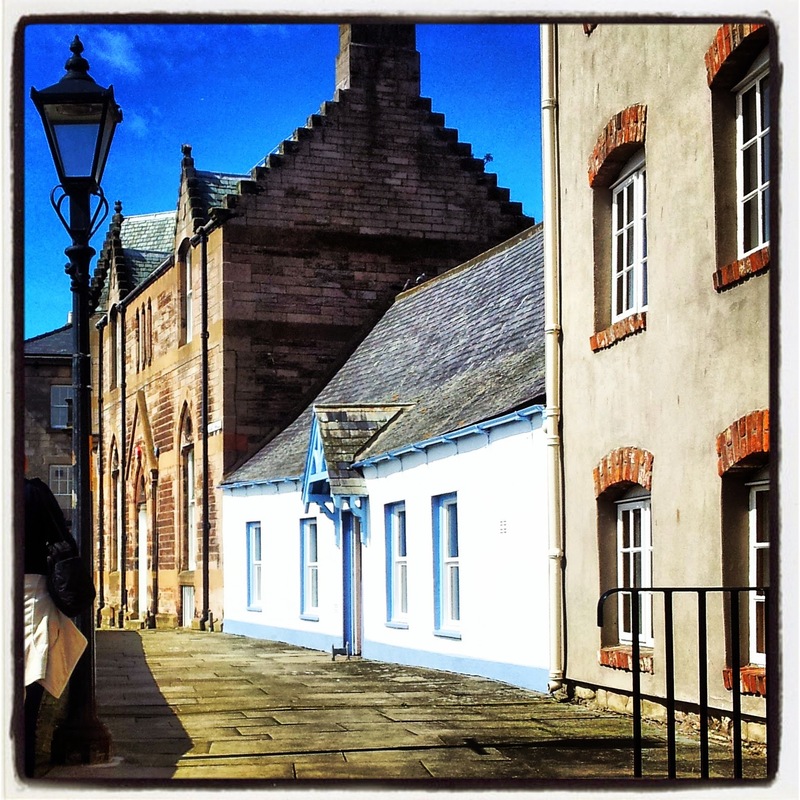 In spite of the vintage posters showing at the Tourist Information Center, Berwick doesn't look much used at tourism: the few postcards are old and plain, the market looks like some sort of tacky modern antiques. They have cheeky seagulls here as well, loud and voracious, ready to fly and steal an ice cream or a fish & chips as soon as the one who's holding it let his guard down. There are some steep alleys surrounded by pastel colours houses, but moreover there are the walls. Berwick has a wall perimeter still completely untouched, and going across it all it's an interesting stroll of about an hour. When a city has a viable wall perimeter, it's always the first thing that I choose to do when I visit it: seeing things from above doesn't only help you to get a whole vision of them, but it also allows you to get the fair detachment that can make such vision clearer. Looking a person from above means judging her, without any rights; but looking a city from above it's instead a very effective way to learn to understand it even before knowing it. 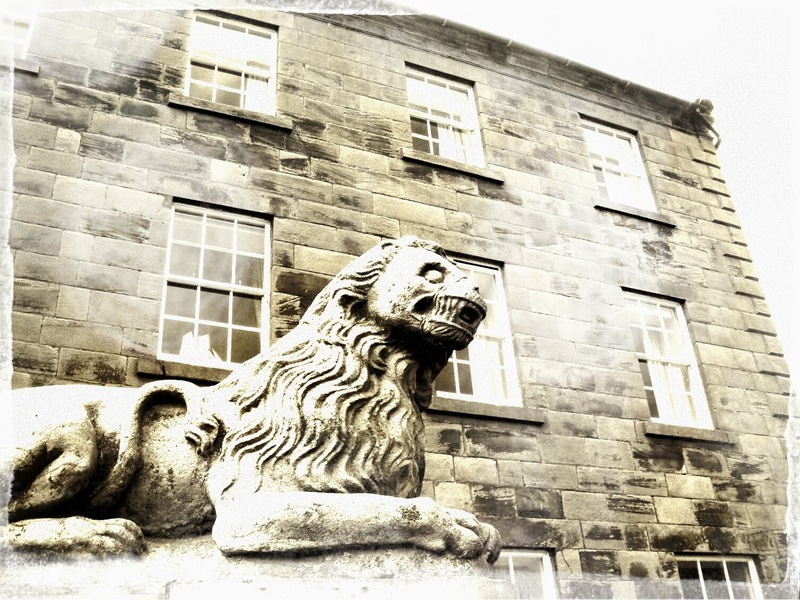 Berwick's walls get to encase all its different faces. 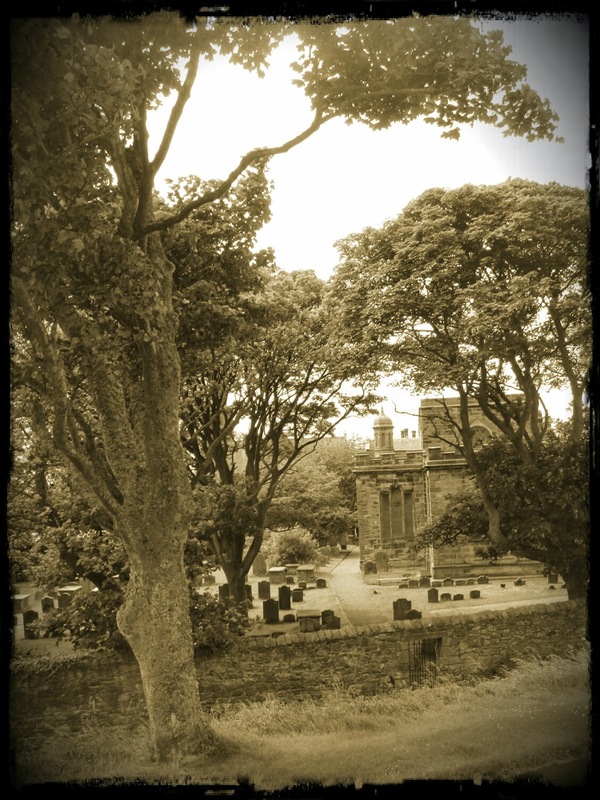 They start as ramparts covered by grass, and they side the church, the cemetery. They pass near the stone house which used to belong to L. S. Lowry, local artist. 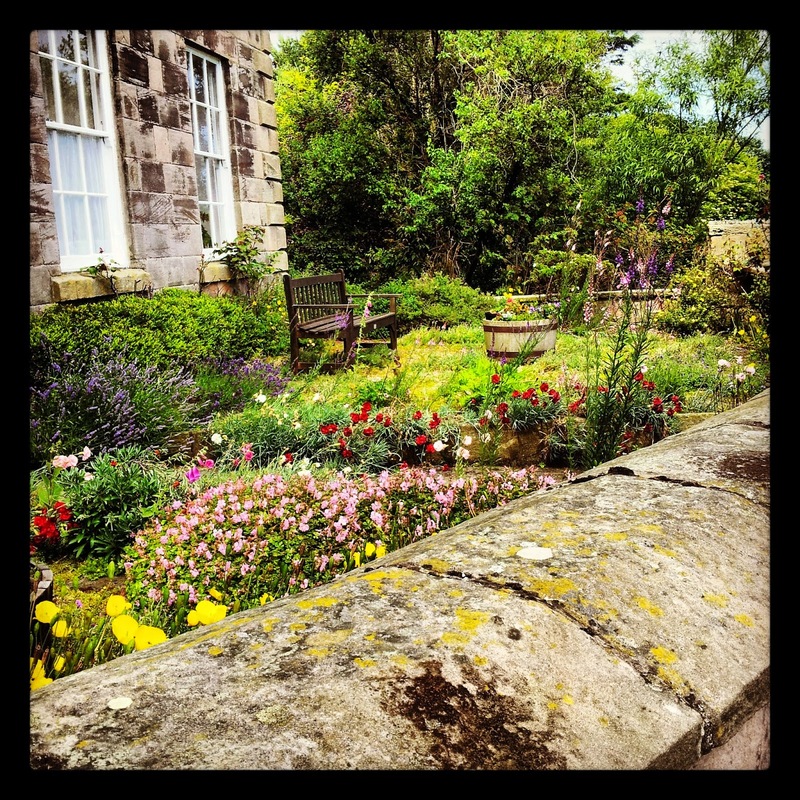 Nowadays its windows are empty just like blinded eyes, but the kinda grotesque stone liones on the gate and the garden - wild, but at the same time colorful and tidy just as certain English gardens can be - still let hover the restless and inspired spirit that must have lived here. They coast the small harbour, with the pier that stretches, like a knobby cement finger, towards the sea. The lighthouse is a red & white look-out that becomes a bodyguard to the shapes of the Farne Islands and of the Bamburgh Castle, that are sketching on the horizon, as ethereal as watercolours, blurred in the same shades of the sea and the sky. They enter inside the heart of the town, and are no longer covered with grass but with pavement. They border the small white & turquoise houses, they enjoy the company of the streetlamps and of the geranium vases. They arrive till the Tweed, the second soul of Berwick, which is not only both English and Scottish, ma also both a river city and a seaside city: the stone bridge, a masterpiece of civil engineering of 1800's, looks like a Roman aqueduct. Here the walls end, and the walk goes on trasforming into a narrow path between the trees and the water. The Slow City motion has been founded in Italy in 1999 and has the goal to identify those cities that, thanks to certain parameters which include enviroment impact, economy, topology and population wealth, are able to offer a lifestyle at more sustainable rhythm, far away from stress and chaos. Perhaps its services do follow these dictates a bit too literally, because many shops don't open before 11 am, and before 10 am it's difficult to find any local buses. 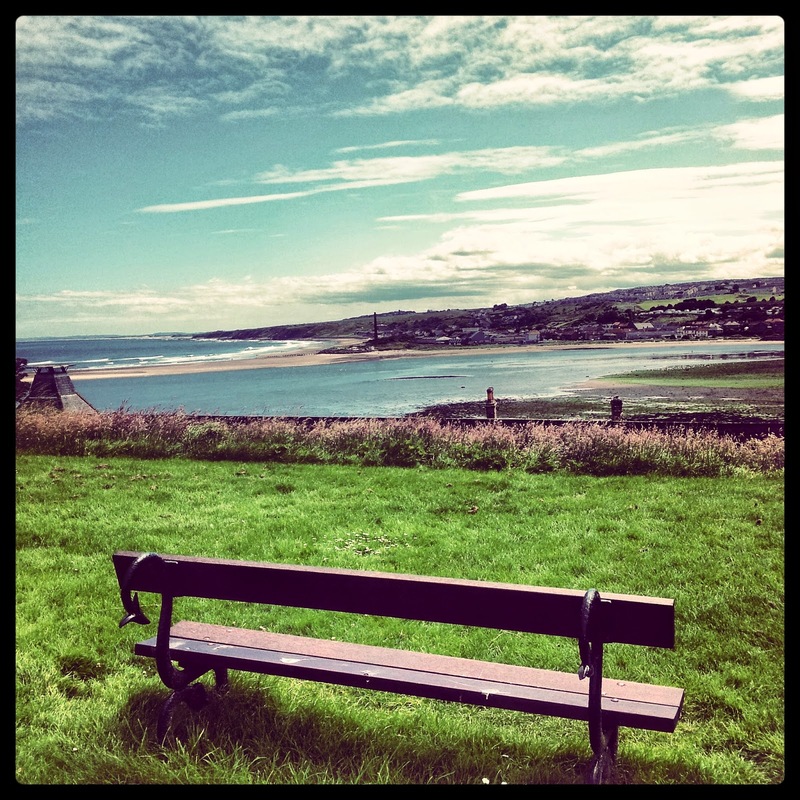 Or maybe it's simply because Berwick is still half-way also between being a touristic city and not being it. Probably also my heart has been conquered just half-way. 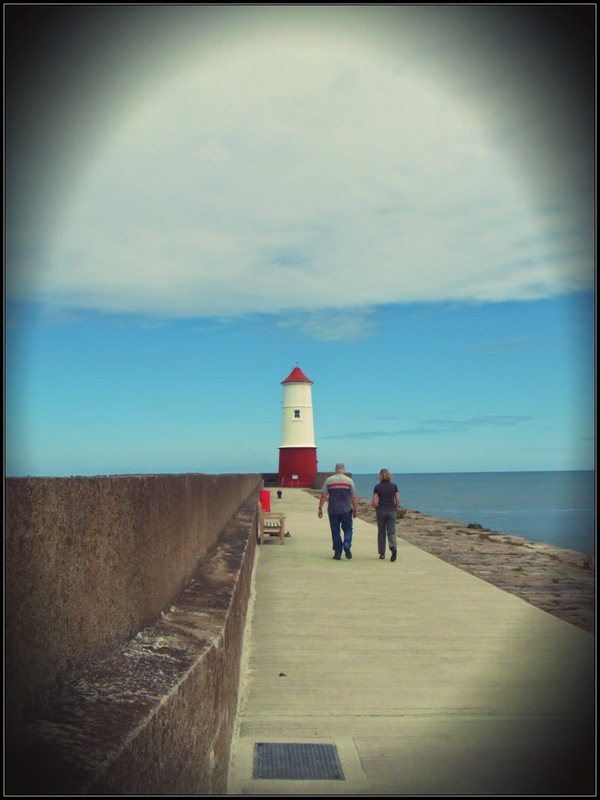 I don't know if I would recommed Berwick among the very first places you must see during a trip in England (or in Scotland). But my staying inside its walls has been very pleasant, and this kind of look it has, somehow indefinite, somehow suspended between two worlds, battled about its own identity, has charmed me. 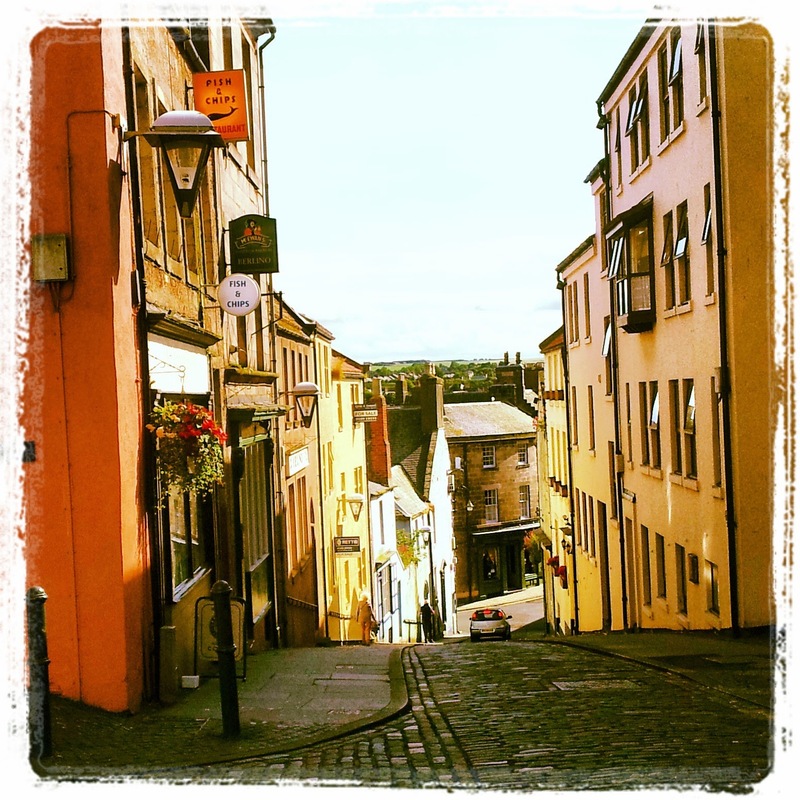 Maybe it's not undefined and not even suspended: Berwick simply is a meeting point, a junction that contains inside its walls some small pieces that both parts had forgotten. 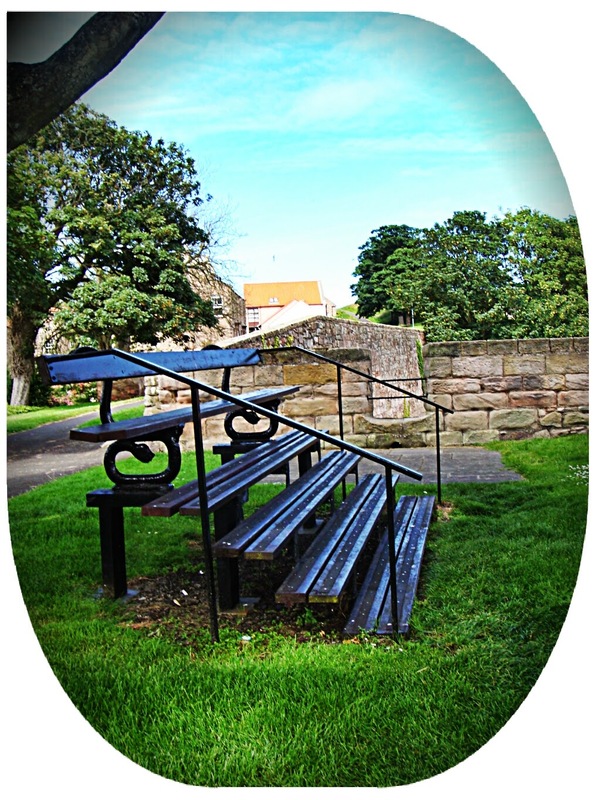 Only in UK... they can think to lift up a bench in order to allow you to contemplate the landscape above the walls! Public transport is not perfect in Britain, altough I still think it's wayyy better than in Italy, eh eh. But I definitely agree about London's underground. Some weeks ago there was a guy in Turin's underground complaining because it had stopped out of no apparent reason and he was saying "It's a shame!! It's not like in London!!" - and I was like, oh dear, it looks like you haven't been in London too long! CRazy!! So it's essentially it's own region within the United Kingdom. Love crazy little facts like that - looks like a really cute place to visit. I love slow cities so I should probably plan a trip! Yes, or at least it used to be. So funny indeed, as it's quite a small city. But still - the fact of always having been contended between Scotland and England actually made it a place of its own. Slow cities are indeed nice places to visit, they give you such a sense of peace and relax! Wow never even heard of it! But it's kinda a funny name so I'm sure it will stick with me now ;) it looks very cute and quaint. The name sounds like something taken out from some books, doesn't it? But it's nice! Interesting! Looks like a gorgeous area. I love that it is a slow city--it would be a great place to go for relaxation and to live at a slower pace for a bit. Love the coast photos too! Yeah, we visited plenty of nice spots in the surroundings, so I definitely recommend the place not only for a visit in the town itself but also as a base to see quite some interesting things. The atmospheare indeed felt relaxing and it's been so healing! Looks like a lovely little place. I love the uniqueness of place suspended between two souls (or regions? Or maybe countries?) and with such a funny name, I think I would definitely visit. 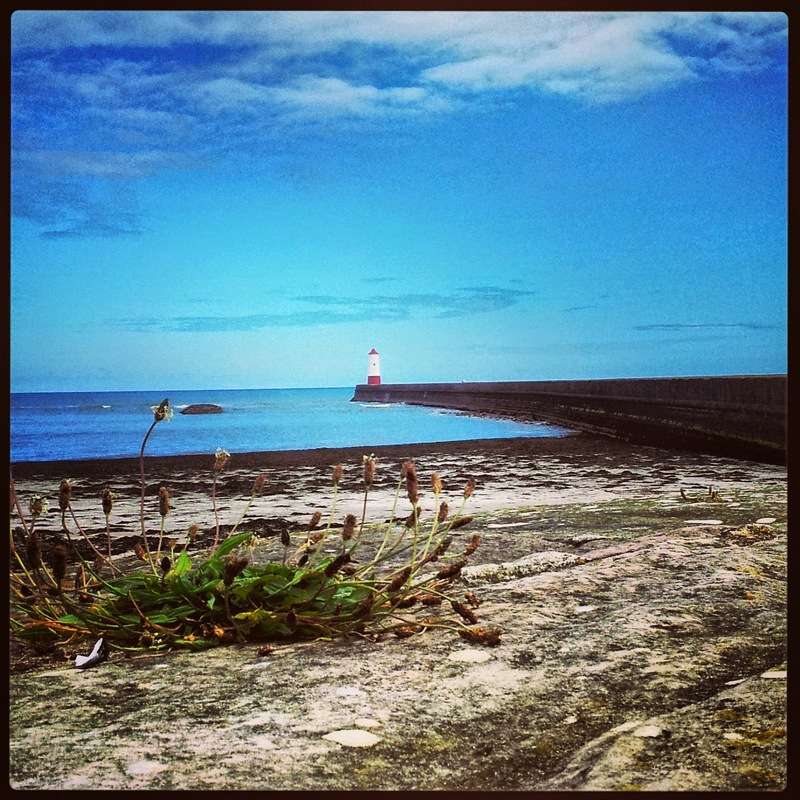 I visited Berwick Upon Tweed as part of a school trip and your post has brought those memories flooding back! 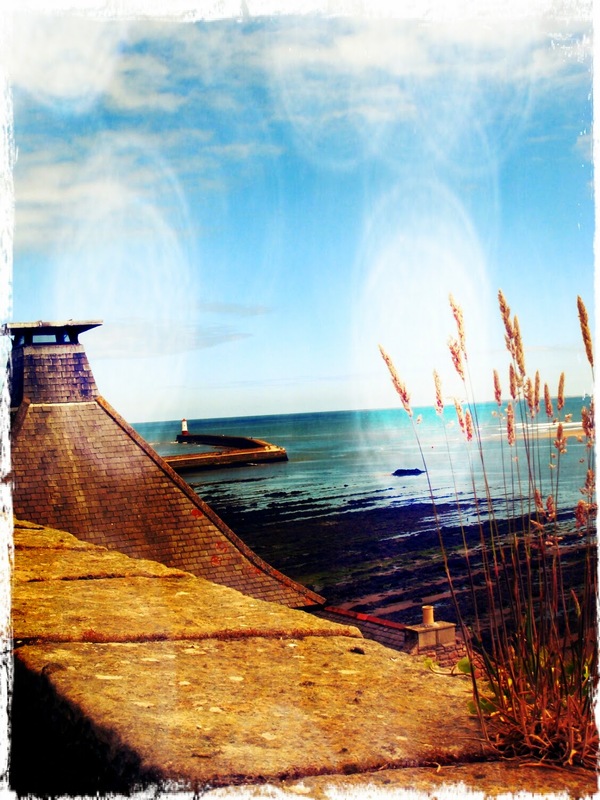 I love all the colorful and cool filters you've applied to your images! I'm glad you enjoy the photos! Not everybody likes all the editing I do, but to me it's a way to give an even more personal touch to the way I see the place I photograph. I must say I love your vintage photos from this point. Those white and turquoise houses are adorable!